^ UAE Constitution. Helplinelaw.com. [2008-07-21]. （原始内容存档于2013-02-17）. 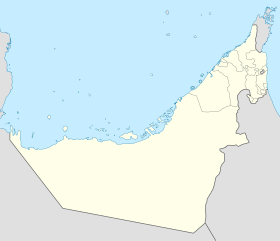 ^ Middle East :: United Arab Emirates. Central Intelligence Agency. [2013-04-05]. ^ Gulfnews: Cost of living rises for expats in Abu Dhabi and Dubai. Archive.gulfnews.com. [2009-07-07]. （原始内容存档于9 July 2009）. ^ Potts, Daniel. Archaeology of the United Arab Emirates. Trident Press. 2003. ^ Climate Normals for Abu Dhabi. National Oceanic and Atmospheric Administration. [2013-02-10].